very likely that you suffered a stroke from anguish (or joy). 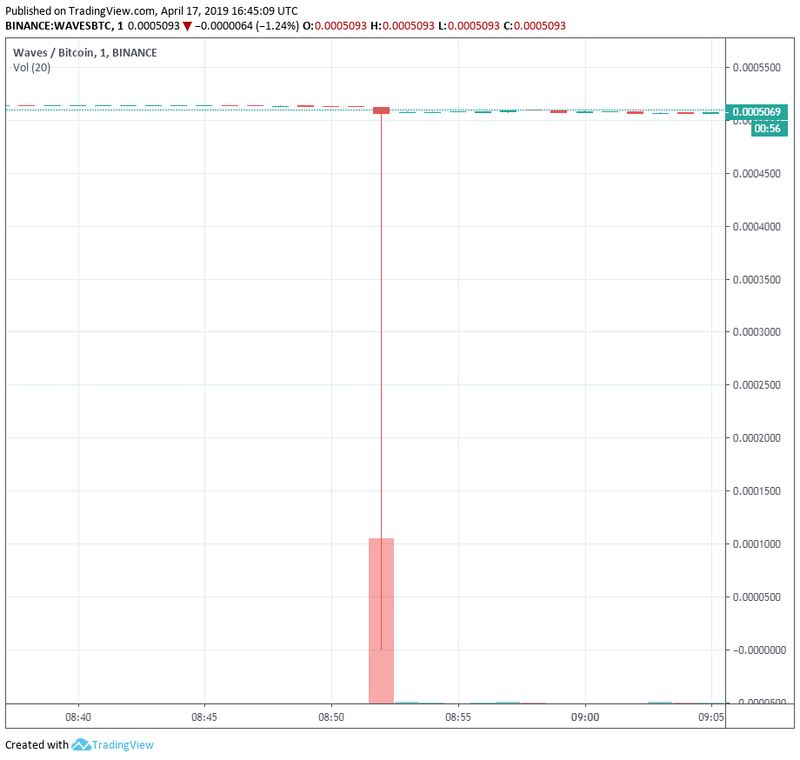 Later in the same minute, the price recovered back to 5078 Satoshis per token, representing over 5000% increase in profits. This could either be the biggest nightmare or a dream come true for many traders. As shown in the graph, the abnormal volume indicates that possibly a Waves Whale placed an exaggerated sell order (possibly market selling). This unusual move practically drained the order book of the token. token, everything points to an input error. This kind of behavior is not uncommon in the crypto-verse. Recently, Ethereum World News reported that a user sent a few dollars paying hundreds of thousands in fees, perhaps confusing the fields they had to fill. This conduct aroused suspicion as they repeated it several times. 90%, going in a matter of seconds from more than $100 to $13 per token. volume generally exceeds the average by much. trader has claimed to be responsible for such a huge sell order.